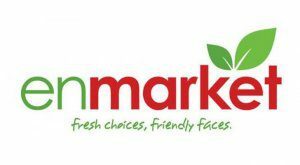 (SAVANNAH, GA) Savannah-based Enmarket announces that it has reached an agreement with Brabham Oil Company, Inc. to purchase its 34 convenience stores. Brabham Oil’s stores, which are branded as E-Z Shop, are located throughout South Carolina. The purchase marks the second acquisition in recent months for Enmarket. The two acquisitions will double Enmarket’s store count. Enmarket will assume operations of the Bamberg, SC-based stores in mid-April. The deal includes the purchase of Brabham Oil’s wholesale fuel distribution company as well. “Both Brabham Oil and the Colonial Group (Enmarket’s parent company) are 4th generation family-owned businesses who have built strong reputations in taking great care of their customers and employees in the markets in which they operate,” said Enmarket’s President Brett Giesick. Brabham Oil and Enmarket have ties that date back to 1929 when Clarence M. Brabham opened a small wholesale petroleum business as a reseller for Colonial Oil. The company served as a wholesale jobber for major fuel brands such as Shell, BP, Phillips 66, and Chevron for several decades. In 1999, Brabham Oil recognized the need for private label gasoline and launched the Horizon brand. Today EZ-Shop convenience stores and Horizon fuel are one of the largest and most recognized chains in South Carolina. “Brabham Oil Co., Inc. was founded by Clarence M. Brabham in 1929 in Bamberg, S.C. The company survived him serving in World II and the Korean War. The Company has been family owned and operated for four generations, which is very rare in the business world. Being surrounded by excellent people has been the key to success over the years. Mr. Brabham always said, ‘Warm fuels make warm friends’ and he loved that part of the business. The friendships established by this company with customers and suppliers over the years have been vital to its success and will always be treasured. We look forward to the family business tradition being continued by the good folks at Enmarket” said Brabham Oil Company President Brab McCully.